Faith is a common subject that people teach. It’s a common word that we hear in a sermon or that we read throughout the Bible. However, in my opinion, I don’t think it’s a common thing that is practiced enough. I also believe that people have different definitions of faith. If I type into Google what the definition of faith is, it says that it’s the “complete trust or confidence in someone or something.” If I look up the definition in the Bible it says, “Trusting is being confident of what we hope for, convinced about things we do not see” (Complete Jewish Bible). As we can gather, these are similar definitions, but the Bible gives much more insight into what it actually is and how we can walk it out. My friends, don’t rely on search engines such as Google, and don’t put all of your confidence in how other people or places define things. Put your complete trust and confidence in what the Bible says and how IT defines things. The Word of God should be your only reliable source to finding the gateway of where the Father truly desires you to be. 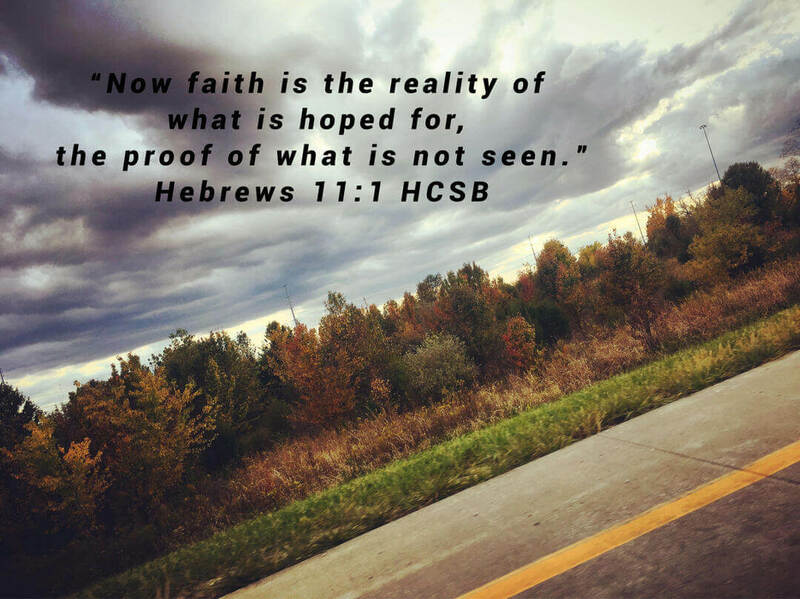 How do you walk out true faith? In what ways or steps should you take to gain personal, emotional, or spiritual freedom? How can faith unlock the keys to the Kingdom? As you can see in the title, I used the word “faith” as an acronym. Let’s zoom in on the word “focus”. What does focus have to do with the word “faith”? I believe that in order to understand what faith means and how to walk it out, you first need to shift your focus and make sure it’s zoomed in towards the correct focal point. In other words, know the ultimate picture that you’re achieving to capture, and make sure there are no obstacles in the way so that the viewer doesn’t lose focus of your picture. What should the picture or vision be? The ultimate vision is up to God. Whatever His big plan is for your life, your job is to obtain that vision, maintaining focus, so that your needs can and will be met, and so that you can carry out that vision to ultimately bring glory to God. If you are constantly looking for provision or are in a state of worry, constantly being distracted, then you’ve lost the vision! There are so many instances in life where we get easily distracted from God’s plan where worry and doubt begin to creep in. We become overwhelmed by the stress, hurt and pain of this life, being swallowed up in a pit of dust that just gets thrown and tossed around in the wind. The enemy easily shifts our focus to a state of distraction, which brings us to focusing on his vision which is of strife, hardship and trial. Colossians 3:2 states, “Focus your minds on the things above, not on the things here on earth” (CJB). I’m not saying that this is an easy task. It is by no means easy, but it is possible. It’s important to be sensitive and aware of where your mind wanders to and what you allow it to zoom in on. So, what is your focal point today? What or whom is your focus on right now in your life? After you find and understand what your focus is, then you can begin to audit. Audit what? You can audit the way you think, the way you act, the way you perceive things, the way you treat other people … you can and should essentially audit yourself as a whole. Get rid of the old, selfish focal points, and put on the new and improved lenses! Try to put yourself and your life in a position of how God might view it. Would He be pleased? Compare your life and how you live to how God says you should live and act. Does it mirror that image? Sometimes we get to a place in life where we feel so comfortable and we don’t want to put in the effort to change or don’t feel the necessity to do things differently. This is so selfish of us! Comfortability tends to rule out the obvious necessity of change that most of the time we aren’t willing make. How can we have the faith to move mountains if we have giant boulders in the way of us reaching that blessing and fulfillment? After you search out and audit those things in your life that may be holding you back from reaching your full potential and having fearless faith, then you can start to internalize things from a Godly perspective. You can begin to seek out the right motives, understand the right beliefs, set standards and goals for yourself. You can begin to see and believe things the way God does. You can begin to react out of the Spirit rather than from the flesh. In addition, you can start to understand that in order to have freedom, there must come a price. Freedom isn’t free. We are spiritually free and forgiven because there was a PRICE that was paid (the death of Yeshua). We live in a free country because of the LIVES that were given up so that we could have and experience freedom. Sometimes God calls us to walk or live in a foreign land. This could mean that certain things or experiences that happen to us don’t make sense in the physical realm. For example, we can walk a Godly walk and follow His commandments, yet He allows bad things to happen to us and we just don’t understand. Maybe He’s called you to do something and you don’t know why. It’s all foreign to you; it doesn’t make sense. Are you willing to go that route to receive God’s promises? Are you willing to give up what you can see, feel and touch in the physical so that you can experience what God has already predestined for you? F - Focus on the things above, and change your mindset, creating a new focal point. A - Audit your life, fixing the way that you think, act and speak. I - Internalize yourself in a way that you never have before. Create goals and motives to better yourself. T - Trust that God is in control. Create a new, deeper foundation of trust in your life. H - Hope in what you cannot see. Don’t let go of hope just because you cannot see the light at the end of the tunnel. God IS hope; He CAN bring you through the seemingly endless trials.